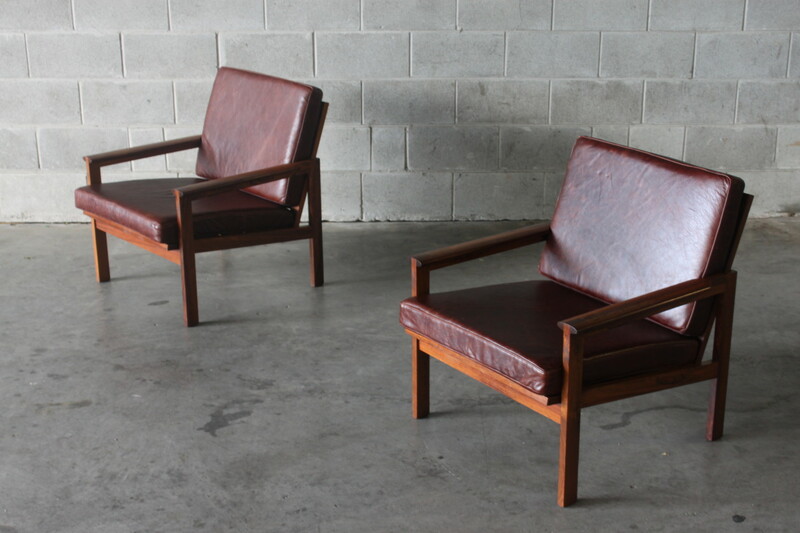 A pair of high spec armchairs by Illum Wikkelso made of beautifully aged Brazilian rosewood and have been recovered in new brown leather. 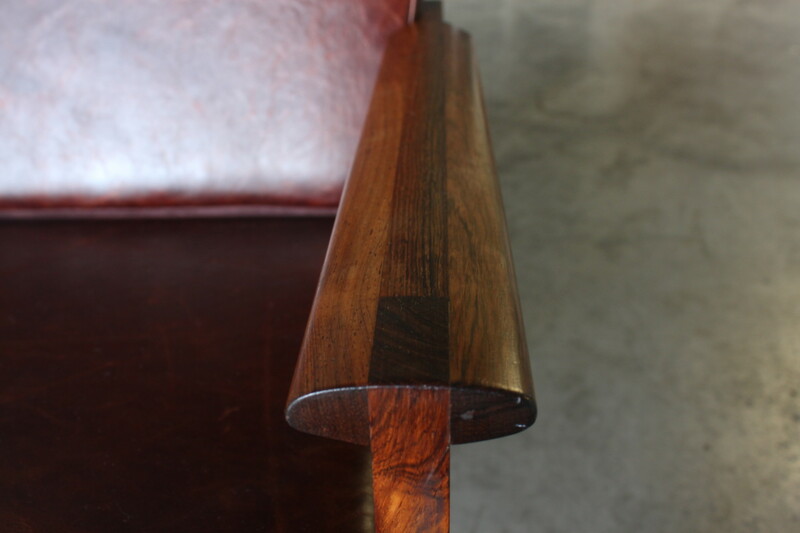 Simple clean lines make a sophisticated armchair with quality exposed fingerjointing. 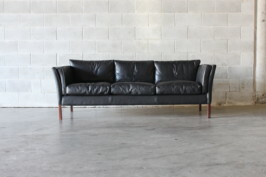 These would look great in your open plan home or corporate work environment. 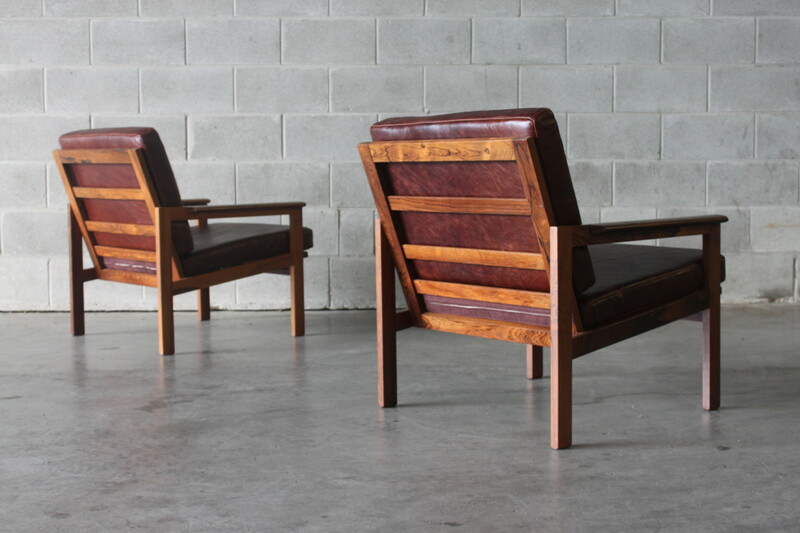 Incredible quality and craftsmanship throughout. 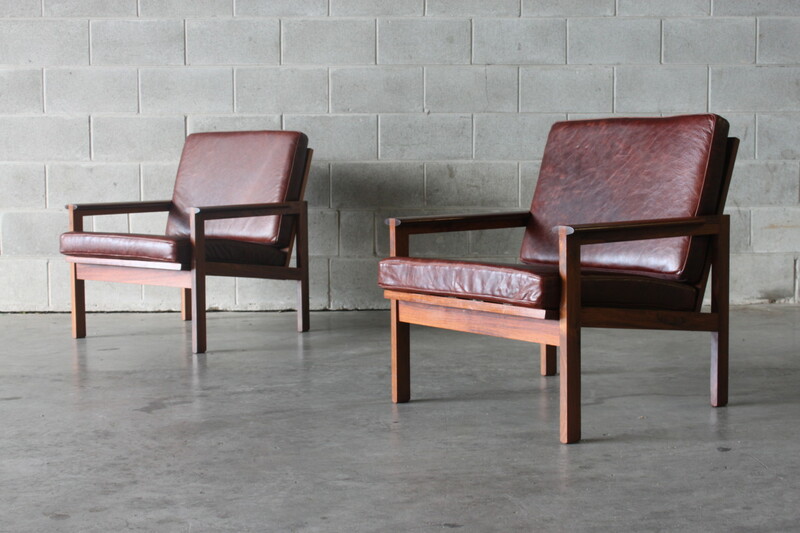 We have a pair in teak also available.